This is a most exciting time of year when Stampin' Up! like to get the year off to a flying start by giving us all some free sale-a-bration products with every $90 we spend. so if you spend $180 then you get TWO sale-a-bration freebies and so on. Simply click on the catalogue covers to the right of this page to view them! There are soooo many lovely new products it is hard to know what to choose. If you wish to place an online order less than $300, click on Shop Now. Please use this Hostess Code to support my business. If your order is more than $300 then you receive the hostess dollars. If you wish me to place an order for you then contact me and I will be happy to help. I made several of these for swaps at our Team Meet last Sunday. The Lotus Blossom is a SAB item that can be earned free with a $90 order. So pretty. I didn't have any calypso coral ribbon so I coloured my White Organza Ribbon with the Calypso Coral Blendabilities and got the perfect match! Love those Blendabilities. 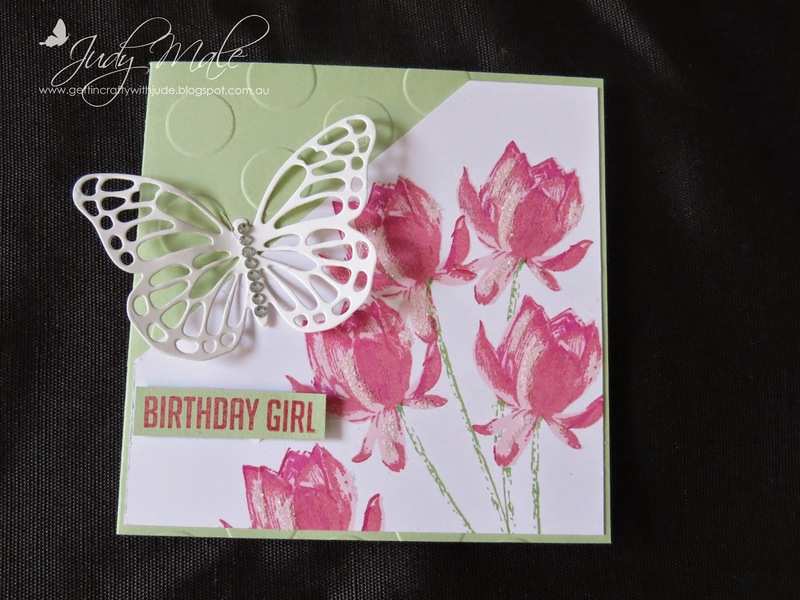 Don't you love the butterfly on this card? New to the Occasions Catalogue are the Butterfly Thinlits item 137360 $42.95AUD. Or, you can get the matching stamp set Butterfly Basics in a Bundle for Item 138813 Wood $82.95AUD or Clear, item 138816 $62.95AUD with a 15% saving! 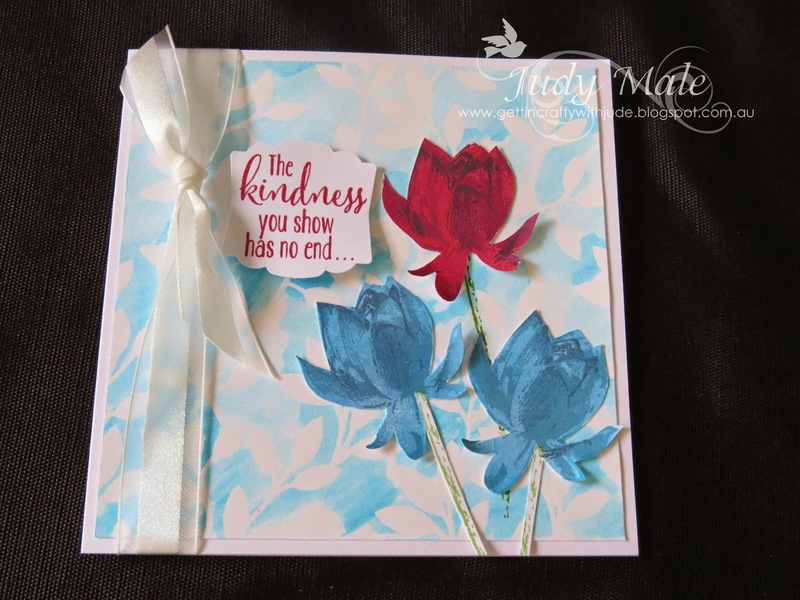 If you look at my previous blog post today showing how to colour using the wonderful new Liquid Chalks on those butterfly cards I have explained how to make a sandwich for your Big Shot so that they pop out cleanly every time. This card was inspired by Jo Blackman joscraftyblog.blogspot.com I just made some changes to make it my own. I also used the Large Polka Dot Embossing Folder item 133739 $13.95AUD I touched up the highlighted area on the flower with some Dazzling Diamonds Glitter item133751 $8.95AUD for a little extra pretty. 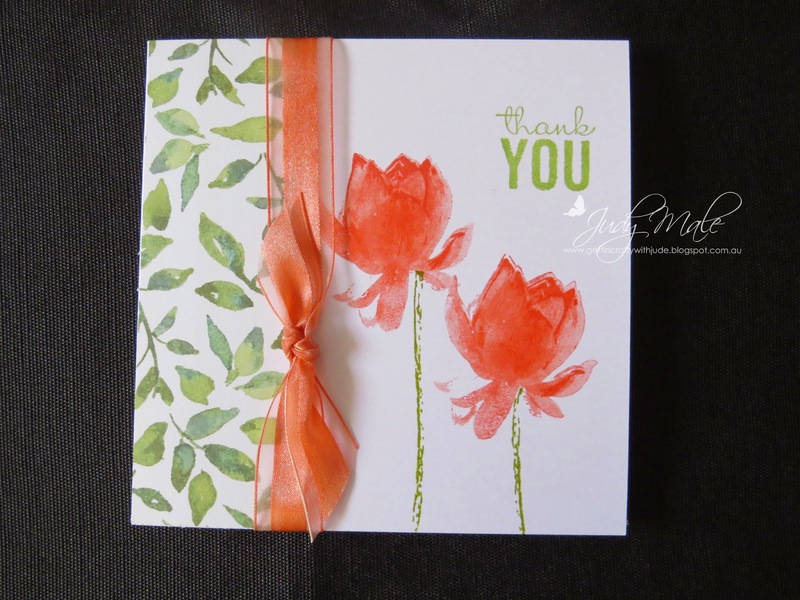 The back round on this card is made with Irresistably Yours DSP another free SAB item. I used a water pen and inkpad to colour resist. Very versatile papers you can leave plain white or colour any way you wish. 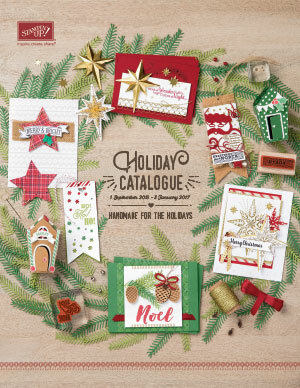 Have fun checking out all the lovely new products in these catalogues and let me know if I can help you with any orders. Thank you Patty Bennett for your lovely work which inspires me!